Kylie with you all today. 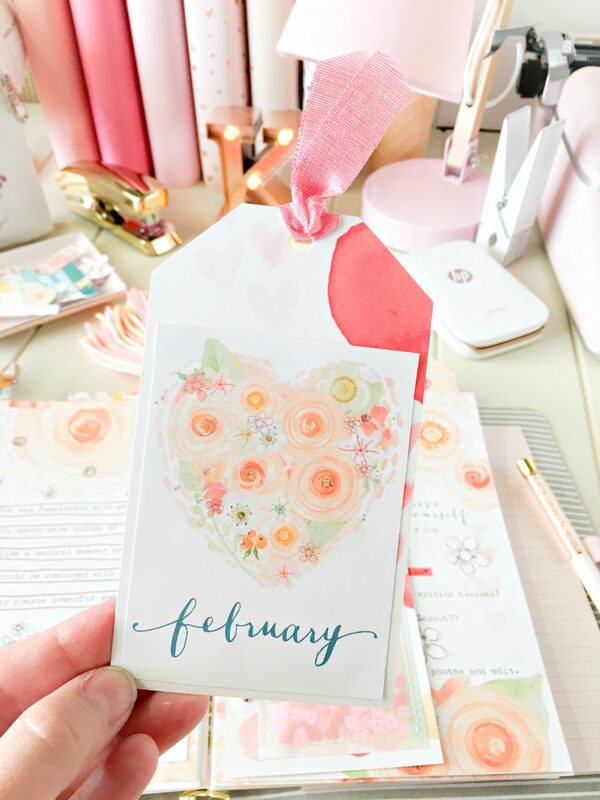 I hope your February has been amazing so far.Today I want to talk about Planner Printables. 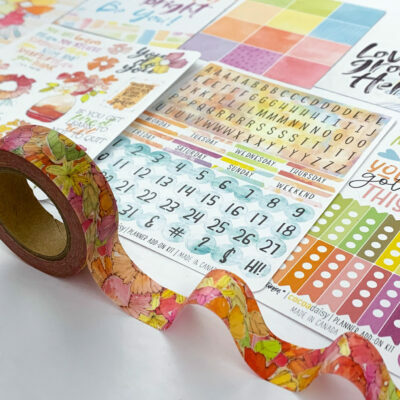 I love printing these out each month to include with my planning and they really make your kit supplies go even further. 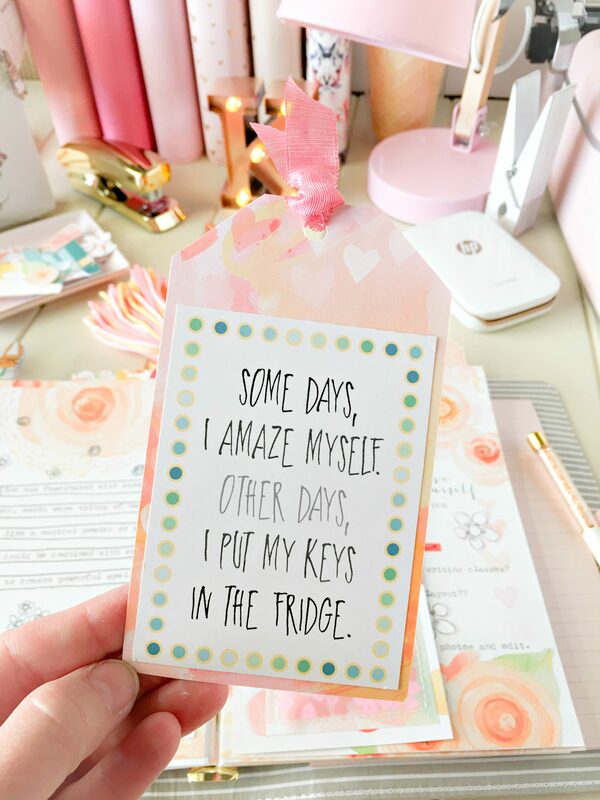 I usually download and print mine out on a thicker paper….Around 160g/m2, on my home printer.Then it’s time to get snipping and cut them out! 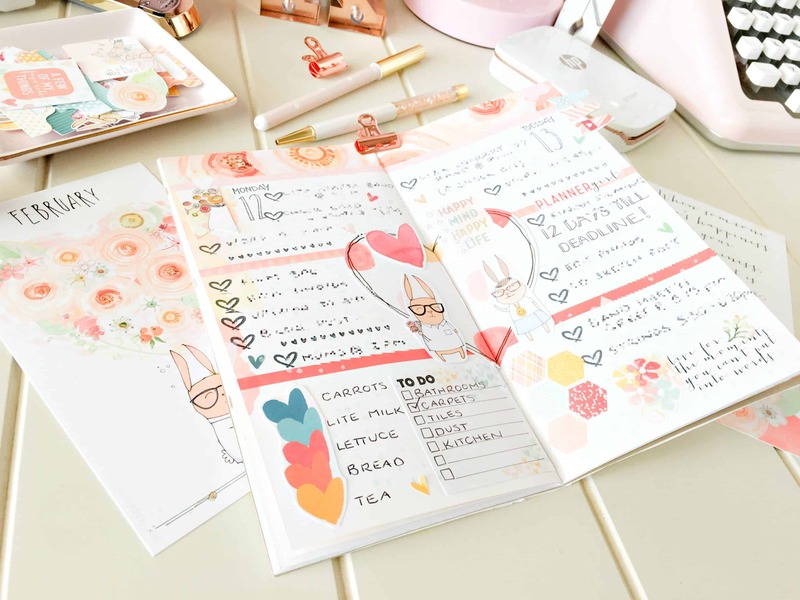 Let me show you how I have included them this month in my A5 planner……. 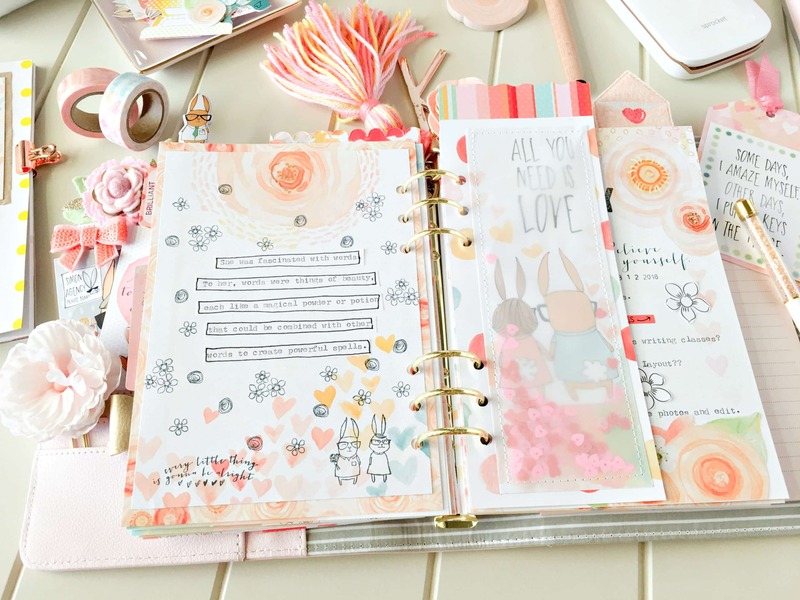 I love, LOVE flowers and have fussy cut these sweet little blooms to add to my pages.They woud also look gorgeous with some colour added to them, but I have left them plain. 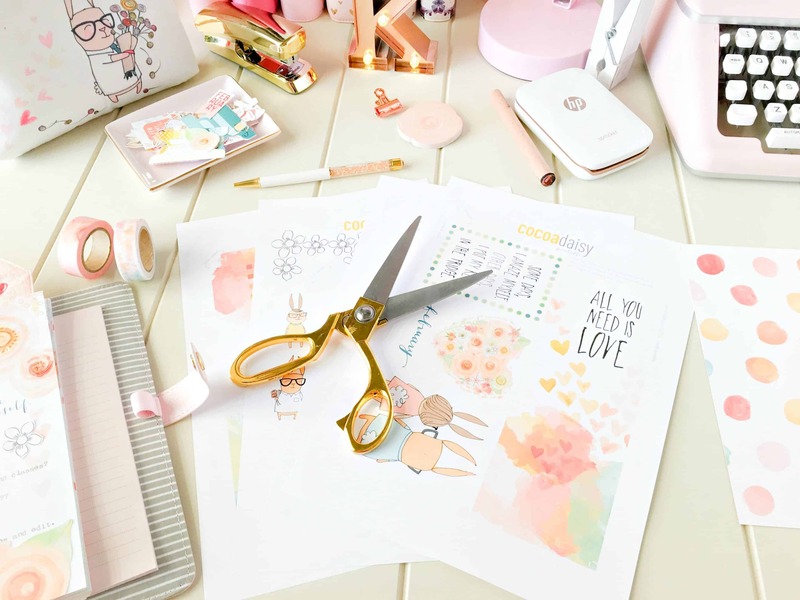 Can I take a moment to share how much I love this printable of Simon and Betty?? 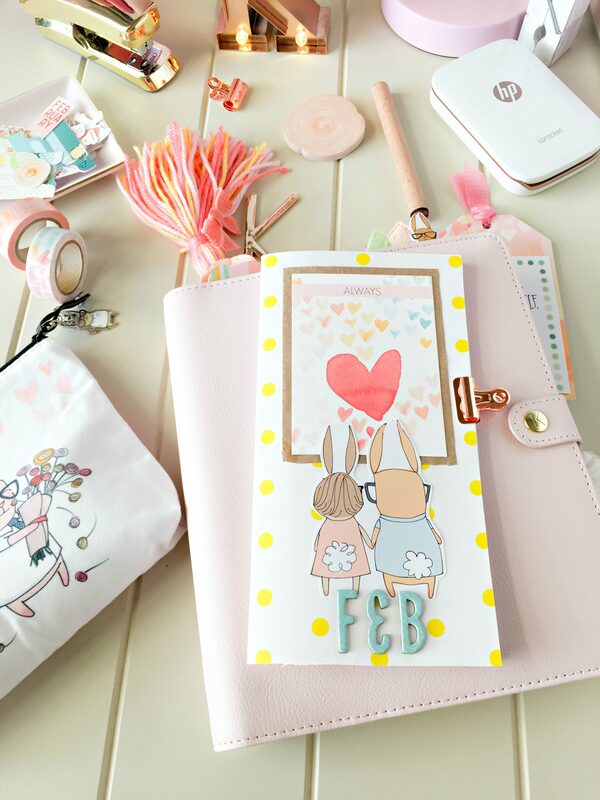 I used the beautiful new polka dot bags that my 12 x 12 Memory Keeping kit came in to cover my Dori and have added the printable as well as the lovely note card from Christine that comes each month. 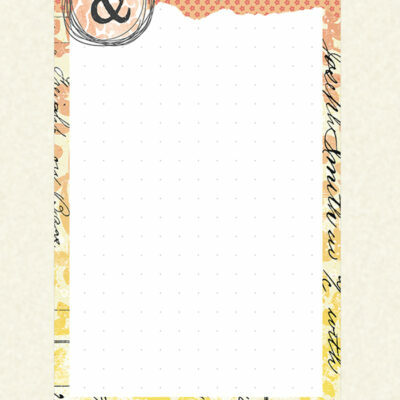 Annnnnd I also used them on this cute, shaker page marker I made.I used vellum over the top and machine stitched the edges. 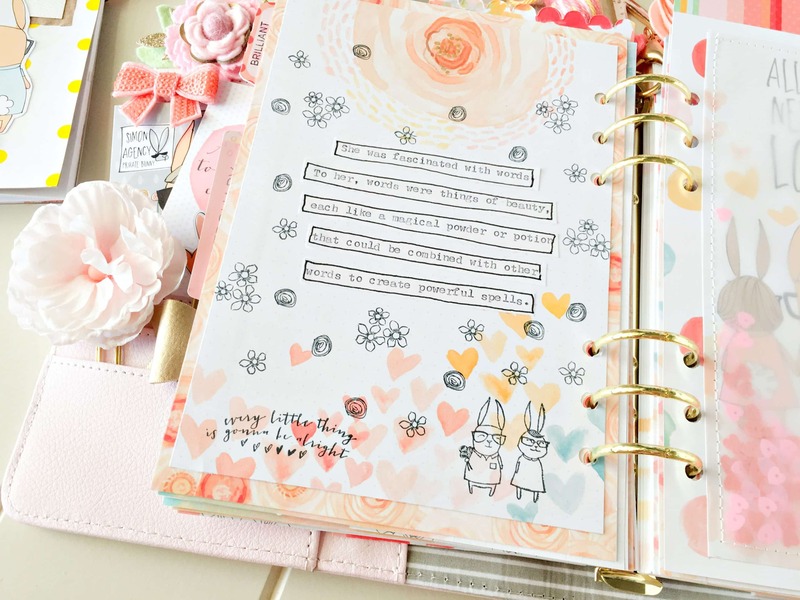 I love how it looks in my planner! This is the printable A5 page.I have adhered it to the back of one of the dashboards and added a favourite quote. More flowers I fussy cut have been added to a lot of my pages, including the large peony clusters.Great for filling in spaces! I feel like this quote fits me very well! I cut it out and created a tag in my planner. 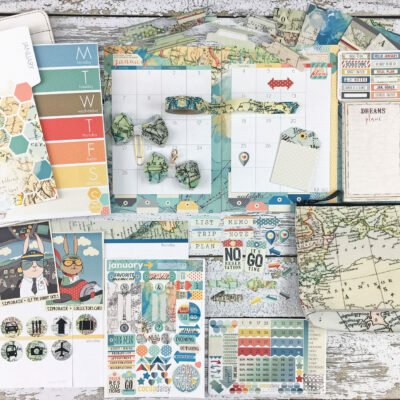 I have also been using the printables in my standard sized Dori. 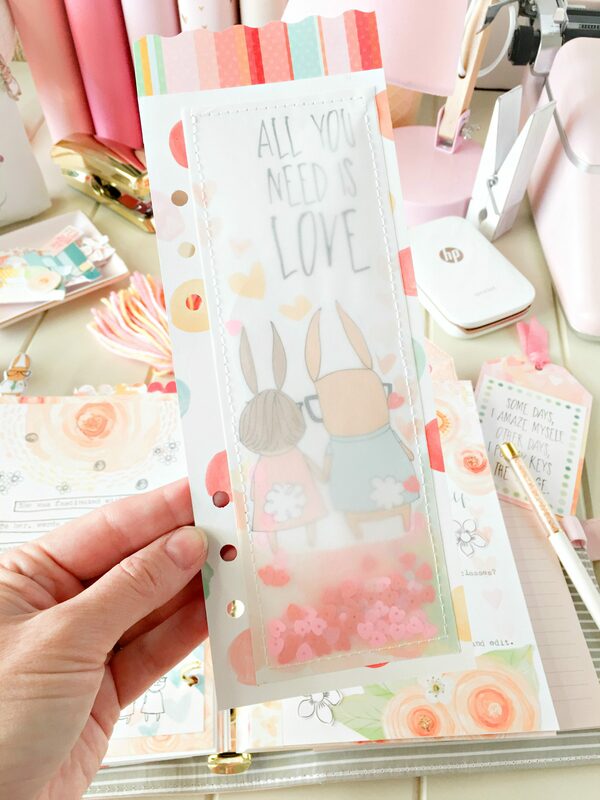 I use my Dori for daily note taking and lists.The printable,stacked hearts were perfect as a point marker! 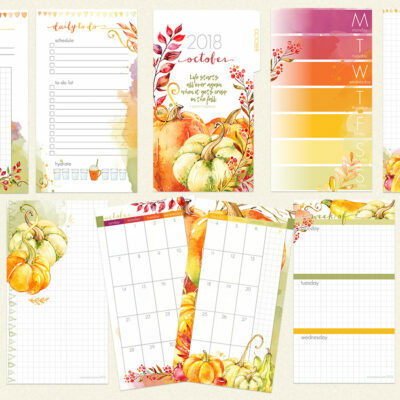 How have you been including the printables each month into your planning?? 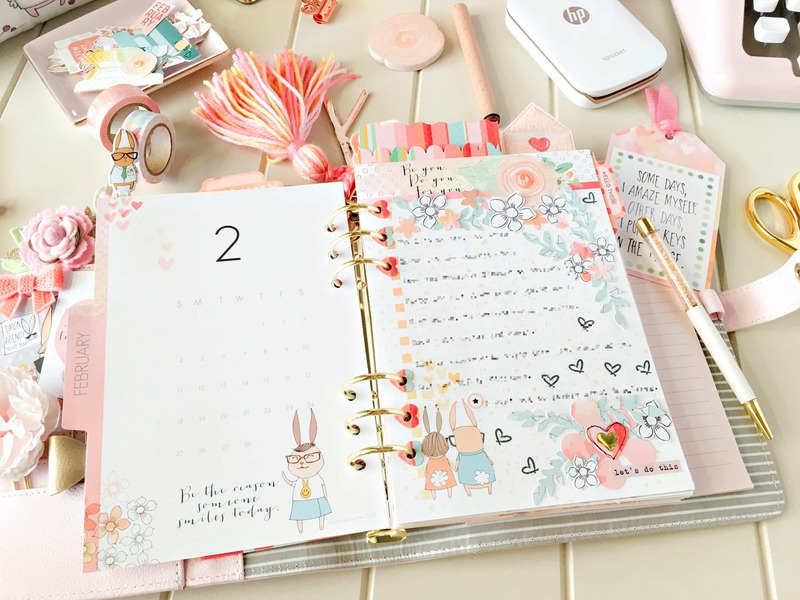 We’d love to see and you can share via the Cocoa Daisy Planner Facebook group HERE. I hope it’s okay to “scrap lift” your ideas because I just finished a page like your page with the quote, “she was fascinated with words”. 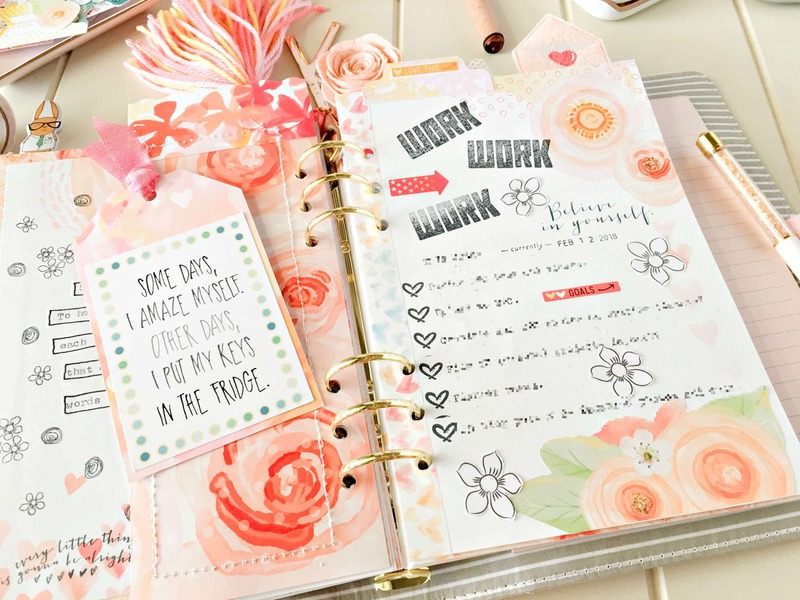 Because that really describes me and I just loved your whole page! Thank you for sharing!! I just love all of your work and your blogs. That was too funny in the comment before mine -“Scrap-listed”. I must do that too! Thanks very much Debbie. That’s very kind of you to say. 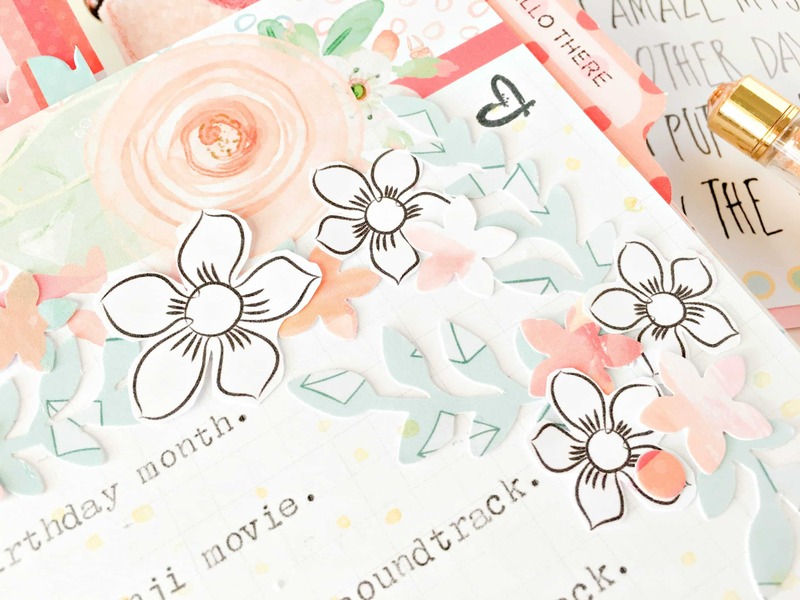 Kylie, are the flower blooms in the third picture down part of our printable? I couldn’t find them. The black and white ones are Debbie and the coloured ones were a punch I had. I just love everything you do! Thank you for sharing all of your amazing creativity with us! Thanks Simone! I’m glad you liked it, thanks for reading.